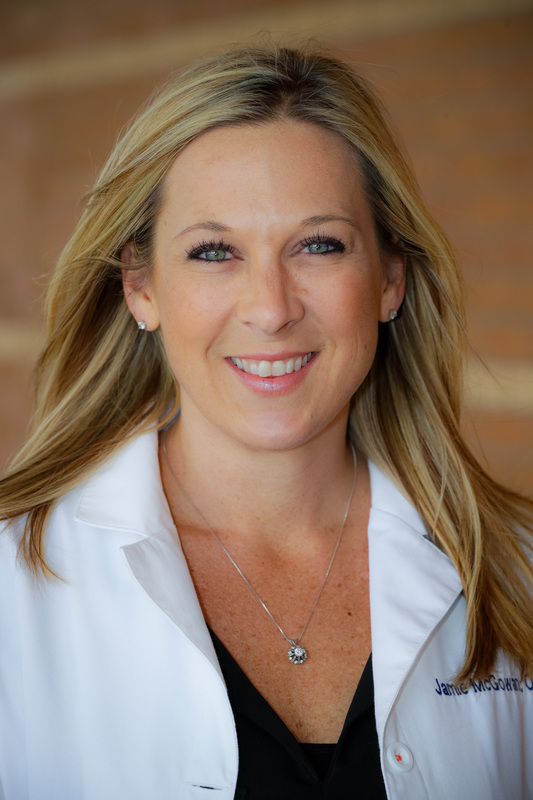 Join us as we welcome Dr. Jamie McGowan to the Grin Eye Care team! Dr. McGowan provides comprehensive eye care to all ages and has spent more than a decade specializing in pediatrics, with an emphasis in managing and treating amblyopia and strabismus. Before joining Grin Eye Care, Dr. McGowan worked closely with Dr. Trudi Grin for over 11 years in her Pediatric Eye Care practice. She expanded and redefined her skills to be able to provide the absolute best care for her pediatric and adult patients. Dr. McGowan is also skilled in providing routine examinations, prescribing eyeglasses, contact lens fittings, treament and management of ocular disease, dry eye management, and co-management of cataract surgery/LASIK. Dr. McGowan is a native Kansan, originally from Wichita. She received her Bachelor of Arts degree with Distinction from the University of Kansas and earned her Doctor of Optometry degree from Southern College of Optometry in Memphis. Following her academic training, she also completed several externships with various specialties including amblyopia and strabismus, contact lenses, ocular disease and low vision. Dr. McGowan and her husband Bryan are very proud parents of two young boys, Grayson and Bennett. They love to travel, spend time with their family, exercise and cheer on the KU Jayhawks! Dr. McGowan sees patients of all ages at our Leawood location and is currently accepting new patients. Give us a call today to schedule an appointment with Dr. McGowan. We are so excited to welcome her to the team!